Whales and dolphins in British waters could face extinction because of the presence of toxic chemicals banned over three decades ago, environmental researchers have warned. 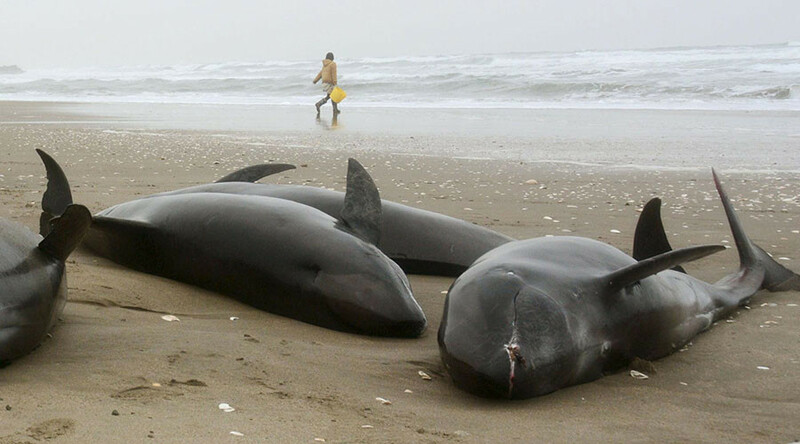 Data from the UK Cetacean Strandings Investigation Programme (CISP) published Friday showed blubber taken from whales and porpoises contains some of the highest levels of a man-made chemical called polychlorinated biphenyls (PCB). The chemical was used to make a range of materials including flame retardants, electrical equipment and paints, but were banned in 1981. Now a study has shown that the large marine mammals are extremely vulnerable to the chemical because they are “top marine predators” high up the food chain. The study’s lead author, Dr Paul Jepson, from the Zoological Society of London (ZSL), said: “Our findings show that, despite the ban and initial decline in environmental contamination, PCBs still persist at dangerously high levels in European cetaceans. “Few coastal orca populations remain in western European waters. Those that do persist are very small and suffering low or zero rates of reproduction. CISP was established in 1990 to examine marine wildlife that can become stranded on the UK’s shores, including turtles and basking sharks, as well as marine mammals. Of the mammals sampled, the scientists found that killer whales, bottlenose dolphins and striped dolphins had the highest concentrations of the chemical in their blubber. Too much PCB in a whale or dolphin’s body can cause harm to the animal’s immune system and affect breeding rates by causing miscarriages in pregnant females. It can also cause calves to die as newborns, the researchers added. While the UK’s waters pose a toxic risk to the mammals, the highest PCB rates were found in the Mediterranean Sea, off the Spanish coast, the report found. Robin Law, who co-authored the report, said: “Our research underlines the critical need for global policymakers to act quickly and decisively to tackle the lingering toxic legacy of PCBs, before it’s too late for some of our most iconic and important marine predators.